Knowing the CNA Salary in VA (Virginia) is important to ensure the job will pay enough for a good standard of living. Nursing assistants are workers in the field of health care that perform tasks under the supervision of LPNs, LVNs and registered nurses. Workers render quality care as part of their duties and responsibilities including feeding, grooming, monitoring food and fluid intake, and taking vital signs like pulse rate and blood pressure. Moreover, they keep documentation with regards to patient interactions, as needed. Certified nursing assistants are regarded as one of the most vital people for the healthcare team due to the fact that eighty percent of their time is being spent with patients. They act as patient advocates wherein they hold responsibility in reporting to the registered nurses or doctors any changes or progress that patients may have. With the kind of work CNAs do, they are generally considered at the entry level for medical professions. In Virginia, the usual salary wage per year ranges between $20,000 to approximately $27,000. Certified nursing assistants need to understand that their salaries vary depending on several factors like experience or type of employment. Majority of the CNAs start working in nursing homes or home health agencies. Entry-level CNAs receive lesser salary wage compared to those who have acquired previous experience already. The amount of salary is based on the work experience that certified nursing assistants have. This means that the more work experience you have, the greater salary wage you will get. Not only that higher pay rate is provided but also a lot of benefits. In Virginia, the mean salaries for job postings for certified nursing assistants are one percent higher compared to the national job postings. The hourly income of CNAs in Virginia ranges between $8 up to $14.50 for each hour. The opportunities for certified nursing assistant employment have been increasing in the field of health care industry especially that CNA has become the most prevalent positions for entry-level all over the country. Based on the Bureau of Labor Statistics, there is an increased twenty-one percent that is anticipated for the future of CNA jobs. 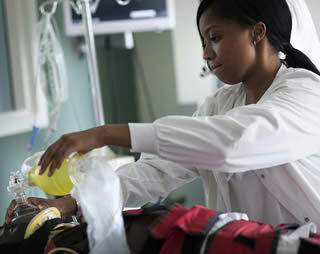 To get more information about CNA classes in VA to receive your certification visit this page.